Cassie and Patrick’s bulletin board. My writer friends, Patrick and Cassie, have this sign hanging on the cork board of their home office. I asked Patrick where he got it, and it turns out it is an except from a classic book, A Technique for Producing Ideas, by advertising executive, James Webb Young. Young first presented the 5-step process in 1939 and he published a book about it in 1965. I love it. Especially the “Relax” part. Seriously! 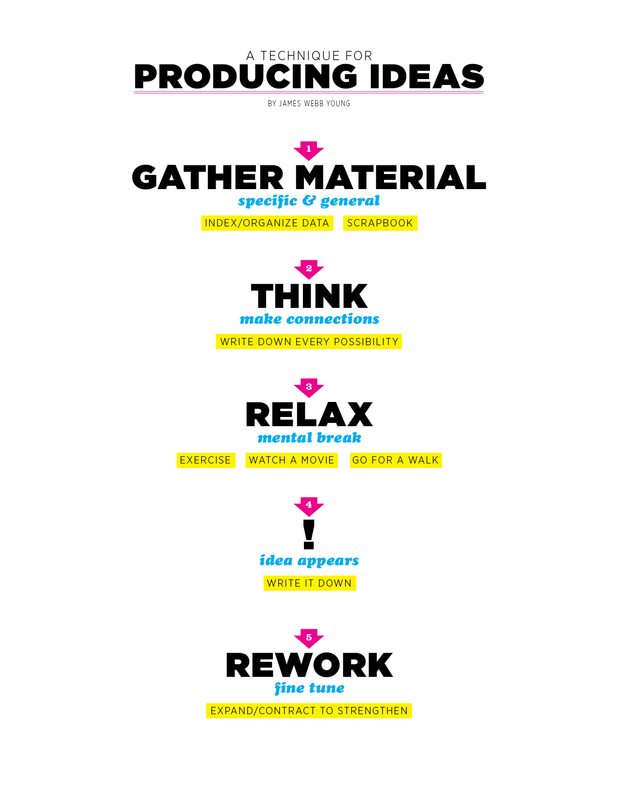 I find that I need to build that “Relax” stage into my timeline when I am doing both client and personal work. 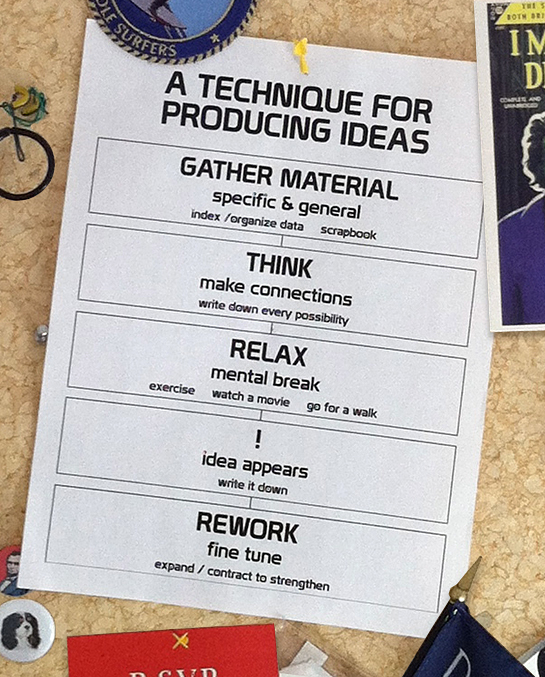 I also love that it is so straight-forward and in some ways reassuring: follow these steps, get it down, you’ll figure it out (“idea appears!”). By breaking down the steps, Young helps us turn potentially daunting projects into digestible smaller steps. The idea of contracting a concept to strengthen it really appeals to me as well. 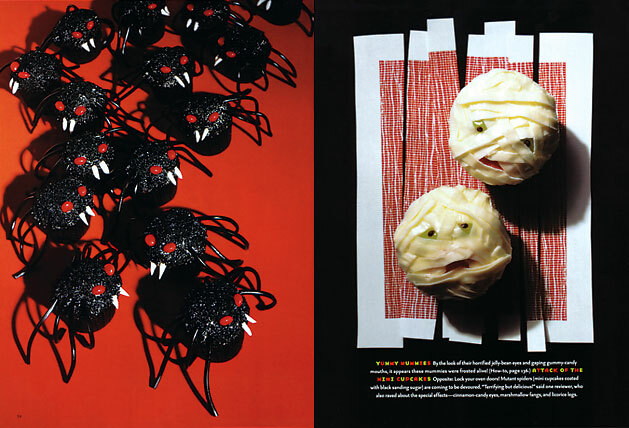 “Creepcakes,” a story I art directed for Martha Stewart Kids, started as a feature about scary food for Halloween. 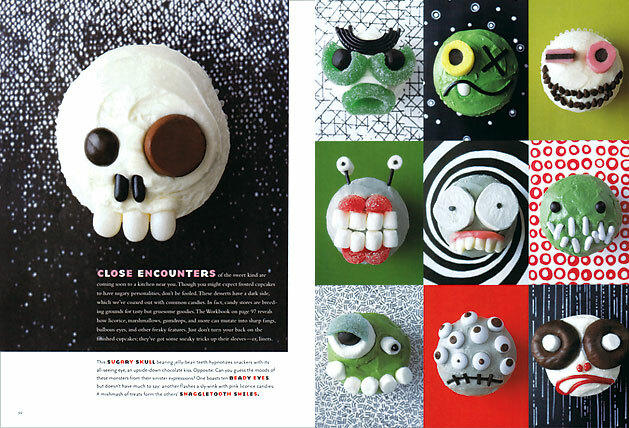 The cupcakes were going to be one idea within the story, probably no more than a page or a spread. We gathered in the test kitchen for a few hours one day to work on cupcake ideas. We came up with so many fun ideas that we realized our story would be much stronger if we just focused on the cupcakes. There were so many options we could flesh out in the world of cupcakes alone, and if we as a team were having so much fun creating them, then our readers would too. 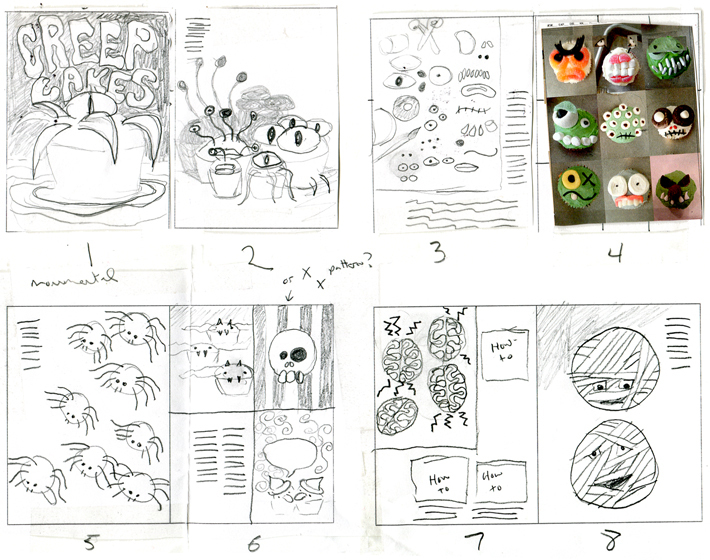 Initial sketches for the Creepcakes story. The grid of photos at the top right are from samples we created in the test kitchen. 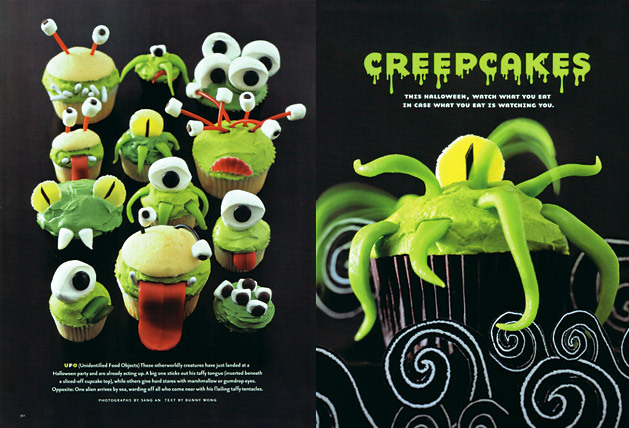 Creepcakes, Martha Stewart Kids. Photos by Sang An. By Tara Bench, Megan Hedgpeth, Jodi Levine, and Robin Rosenthal. 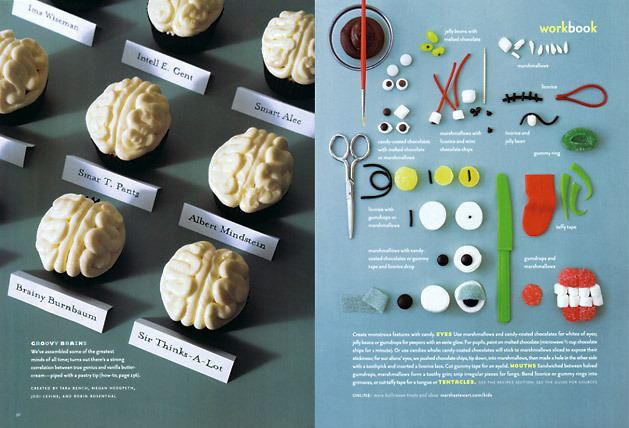 For a great review of the book, check out brain pickings. Previous PostJust a random penguin.